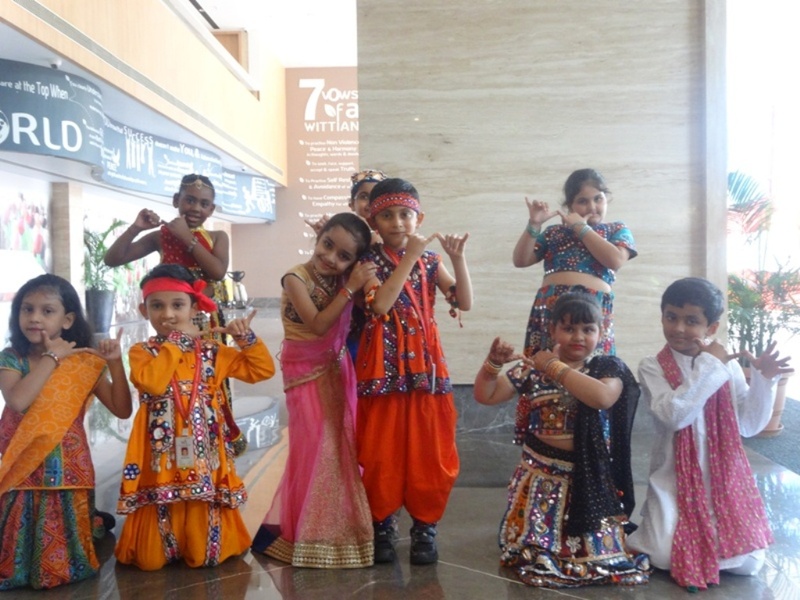 Primary Section of Witty International School, Pawan Baug celebrated Janmashtami on Friday, 4th September, 2015. 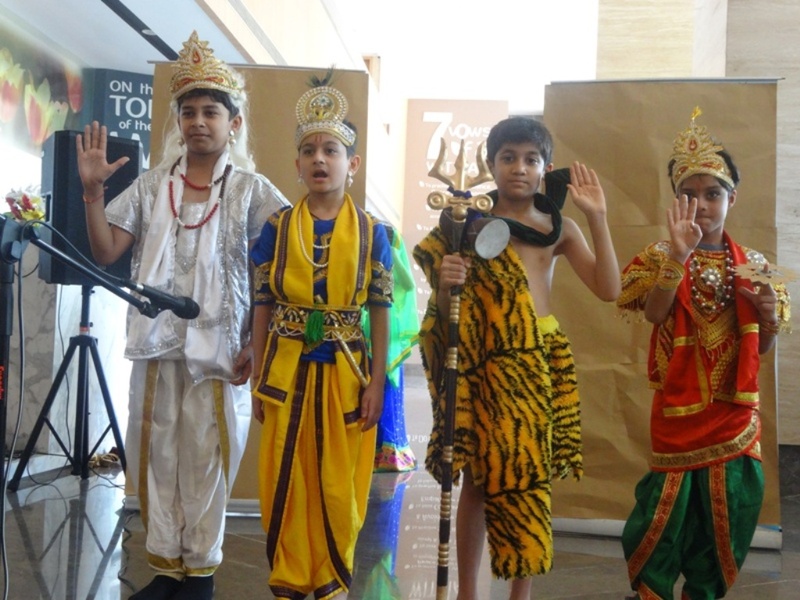 The students of Grade II and IV presented a skit on the birth of Lord Krishna and the traditional classic tale of his youthful days. They enacted the roles of Lord Krishna, Kansa and Gopis. 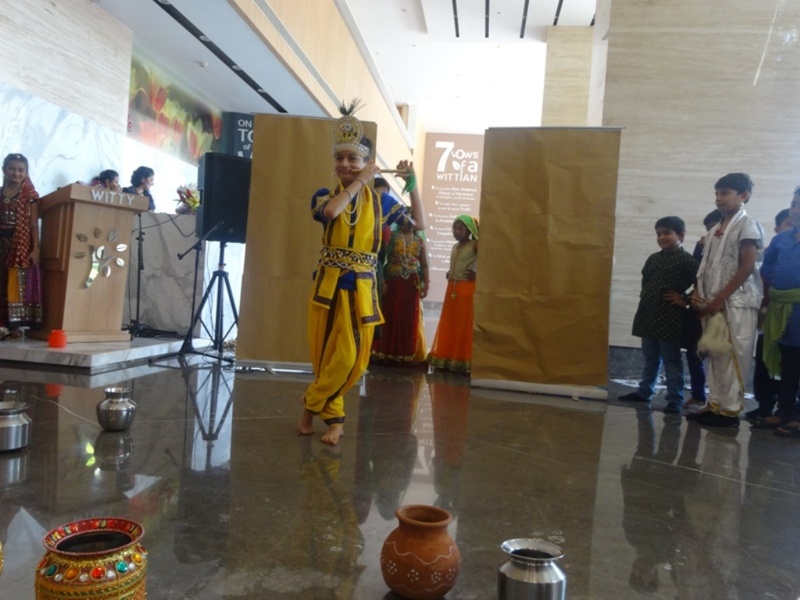 Sri Krishna as Nathkhat Bansi and Makhan Chor enthralled everyone in the audience. This event brought awareness among the children about traditional customs while enjoying the pranks of Lord Krishna. Students also learnt the teachings for humanity as Lord Krishna always emphasized on justice and truth and fought against evil. Students were at their best, wearing traditional attire to celebrate the day with gaiety. The little kanhaiyas and gopis danced to the scintillating tunes of Govinda Ala Re and other devotional songs. Fun and frolic marked the occasion.